Chagatai Khan: Media Gate in Mehrangate Scandal of Pakistan. Please note how Several noted and leading Top Pakistani Journalists present Villains and Criminals as Heroes in their Columns and TV Programs rather they go to extent to justify Murder. 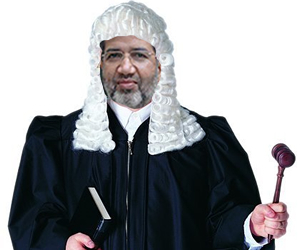 2009: Brig Imtiaz reveals CIA plots Ansar Abbasi Tuesday, September 01, 2009 ISLAMABAD: Former spymaster Brigadier (retd) Imtiaz Ahmad, whose recent statements caused ripples in the country’s political arena, now talks of a much serious issue ñ Pakistan’s nuclear programme. He claims to have foiled two American CIA plots to sabotage the country’s nuclear programme. While serving for the ISI, he recalled, he had conducted the operation ‘Rising Sun’ in 1979 that successfully thwarted a CIA plot to target Pakistanís nuclear programme. The operation concluded with the arrest and conviction of a Pakistani CIA agent, declaration of a few undercover CIA agents and US diplomats as personae non gratae and their return. In the second case, Brigadier (retd) Imtiaz said, he, as the Intelligence Bureau chief, had discovered another CIA plot being operated through a third country mainly to hit the countryís nuclear programme. Talking to The News here on Monday, Brigadier Imtiaz said that in the late 70s, the CIA spotted one Rafiq Munshi, a graduate of Karachi University, and took him to the US to be trained on nuclear technicalities and intelligence skills. Later, he got appointed in Kanup Karachi as an engineer. It was in 1979 when he was launched back by the CIA with a mission to penetrate into the country’s nuclear network with two clear objectives. Firstly, to provide them (CIA) information about the nuclear programme’s development, security and protection measures for the nuclear installations and identification of nuclear scientists working on sensitive assignments. Secondly, he was assigned to create an opportunity, when given signal, for a technical sabotage of certain nuclear installations. Imtiaz said that Rafiq Munshi was provided substantial financial aid and was made to operate in close coordination with a few special CIA operators, who were undercover agents and working under diplomatic cover in the US embassy in Islamabad and its consulate in Karachi. 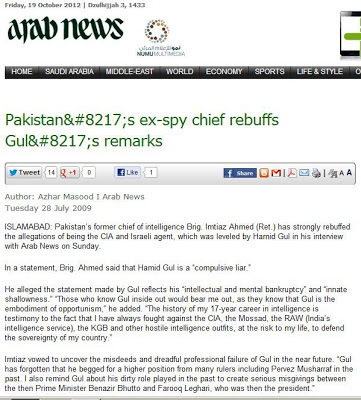 Imtiaz said during those days he was posted in Karachi as a Lt-Colonel and the ISI chief in Sindh. After getting the clue of the plot and personally monitoring it for several months, he disclosed, he conducted the operation ‘Rising Sun’. 2009: Only bean-spilling spooks can tell why By Zaffar Abbas 2009 ISLAMABAD, Aug 31 Brigadier (retd) Imtiaz Ahmed, or others like him who served in the security services over the past three decades, may alone know the real reason for re-igniting the controversies regarding their role in the making and breaking of political parties, alliances and governments, and of institutionalising corruption in the country`s politics. 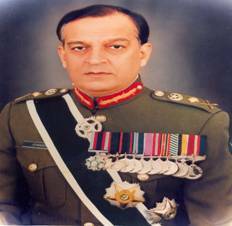 It is unclear whether this was his intention but the retired brigadier, known as Imtiaz `Billa (the cat)` in the army circles of yesteryear, has done one great service to this nation. Through his confessions, which he proudly describes as `revelations`, he has revived memories of some of the worst transgressions of the law and violations of norms of decent conduct and human rights by the intelligence agencies. Particularly during the dreaded rule of the dictator Gen Ziaul Haq during the late `70s and early `80s. 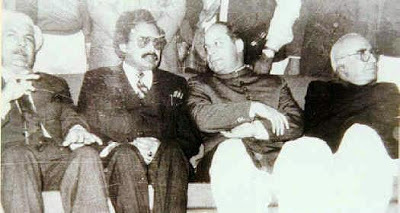 As these revelations jog one`s memory, one is propelled back in time to the period when Imtiaz Billa`s name had become synonymous with dirty, horrible, tactics in dealing with Zia`s political opponents. During this period, arrests, torture and even death in custody of political opponents dubbed Indian or Soviet agents, had become the order of the day. As the re-emergence of the debate takes some of us down the memory lane, an unforgettable reference comes to mind when `Imtiaz Billa` came to be known among the communist and other left-wing activists as `butcher`. Tasked by Gen Zia to eliminate anyone or everyone who had even tenuous links with the otherwise tiny communist movement, Billa and his men took upon themselves the task of hunting down those associated with groups viewed as pro-Soviet. Basking in the glory of having earned the support of the United States because of the Soviet presence in Afghanistan, Gen Zia wanted to pursue his own agenda of Islamisation by neutralising all who may have represented socialist or secular ideals. Noted journalist Sohail Sangi, one such victim of the security services, recalls that in those days Imtiaz Billa was either posted in Karachi or, as an ISI colonel, was supervising the anti-communist operation in Karachi and elsewhere in Sindh province. It was during these days in August 1980 that a group of left-wing activists approached a few journalists at the press club in Karachi to seek their help in highlighting the news of death in custody of communist student leader Nazir Abbasi. Abbasi had died during torture as attempts were made to extract information from eight prominent members of the defunct Communist Party of Pakistan (CPP). The news had come out once his body was handed over to his relatives for burial, but the newspapers were unable to publish the reason for his death because of strict censorship. 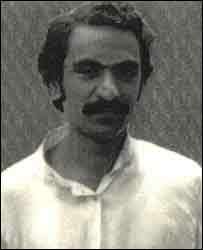 As Professor Jamal Naqvi, one of the arrested communist leaders, later mentioned in his testimony during the famous `Jam Saqi trial`, it was Nazir Abbasi`s death that saved the rest of the detainees from further torture, as they were soon shifted from a military interrogation cell to a Karachi prison. Even during the military trial the actual case that the intelligence agency had framed against Jam Saqi and his comrades was not about their involvement in promoting Soviet communism in the country but of working for the Indian intelligence to topple Gen Zia`s military regime. Prof Naqvi, Jam Saqi and also others like Sohail Sangi, Jabbar Khattak, Kamal Warsi and Shabbir Sher are around to testify to the horrors of that dark period. Then there were many other cases against nationalist leaders like Rasul Bux Palijo or communist activists like lmdad Chandio and scores of others that were all fabricated so that those charged could be kept away from mainstream politics. The ISI`s political cell under Gen Zia had acquired a much bigger role with the hijacking of a PIA plane by the so-called Al Zulfiqar in 1981. This incident gave a new lease of life to Gen Zia, as he used it to his advantage to allow the intelligence to round up thousands of political activists in the country – perhaps the biggest crackdown since the mass arrest of political activists to coincide with Mr Bhutto`s hanging. Also, Brig Imtiaz Billa is once again trying to make a big thing of the so-called conspiracy hatched by Ghulam Mustafa Khar to topple Gen Zia`s regime. At one point, noted lawyer and activist Raza Kazim was also implicated in the case, and so were a number of junior officers. In this case too they were accused of having links with RAW. 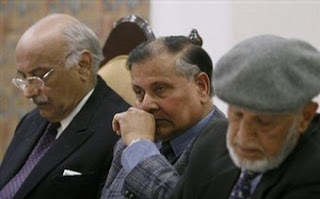 None of them ever denied having worked to remove Gen Zia, but for `Billa` and others the easiest thing was to link them to India to justify their military trial. Perhaps the most bizarre of such incidents was the arrest of a trade union leader in Karachi, Rafiq Safi Munshi on the charge of being an American agent. A few months ago Imtiaz Billa `disclosed` in a newspaper interview how he trapped an `American agent` who was passing on nuclear secrets in Karachi to his `handlers` at the US consulate. 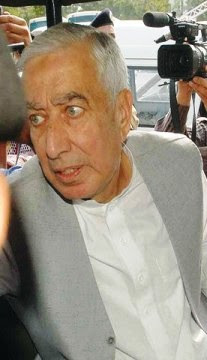 Many may differ with the Rafiq Safi`s style of politics, but the fact is that he was associated with the PPP, and was a prominent leader of the Karachi Electric Supply Corporation`s (KESC) trade Union, and was not working at Karachi Nuclear Power Plant (Kannup) as the retired brigadier had portrayed. 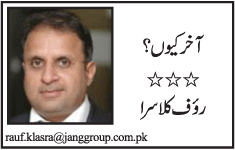 Even otherwise, what has Kannup plant got to do with Pakistan`s nuclear weapons programme? But in the martial law period the arrest of any opponent of the military junta was justified, and branding them as Indian or Soviet, or in one case, even American, agent kosher. What helped the junta more was a blanket news censorship and holding of trial in summary and special military courts, whose verdicts were often written before the start of the case proceedings. It will be quite interesting to find out that in many cases the only crime of such left-wing activists, including many professors of Quaid-i-Azam University, was secretly publishing anti-Zia literature. The role of the military intelligence services in former East Pakistan is often described as the worst as in those days hundreds disappeared and popular opinion was suppressed by arresting and trying Awami League leaders as foreign agents. But a close study of Gen Zia`s days, and the powers that were given to people like `Billa`, or the entire ISI under first Generals Ghulam Jilani and then Akhtar Abdur Rehman and finally Lt-Gen Hameed Gul, may show how blatantly they violated the law and human rights.